Rosemary Boross is a Dance Educator, Choreographer and Performer. Ms. Boross is a highly experienced educator with a demonstrated track record fostering student learning. She has taught many genres of dance including: Ballet, Tap, Jazz, Acrobatics, Musical Theater, Hip Hop, Contemporary, Pilates, Conditioning for Dancers and Aerial Dance. 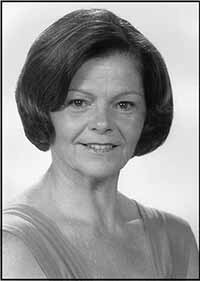 Rosemary Boross has held numerous prestigious positions including Master Teacher at Barat College/Conservatory in lake Forest, IL; Adjunct Professor at Western Kentucky University in Bowling Green, KY; Faculty/Ballet Mistress at Twin Cities Ballet in Bloomington, IL; Master Teacher/Adjudicator at Dance Educators of America in New York, NY; among others. Ms. Boross is an experienced choreographer in both dance and musical theater. Her choreography work inclues Nutcracker, Unicorn of Faery Forest, Planetary Interplay, American in Paris, Ballet for a New Age at Red Bank Ballet; American in Paris at the NJ Dance Festival; Fiddler on the Roof, 1776, & West Side Story at Theatre by the Lake; Spamalot, Rent, & Spelling Bee at Brookdale Community College; The King and I at Hightstown High School; and so many more! In addition to her titles as Dance Educator and Choreographer Rosemary Boross is a celebrated performer. Ms. Boross was a Dancer/Rockette at Radio City in New York, NY; a Dancer at Metropolitan Opera, Nat Horne Theatre, & American Dance Machine in New York, NY; and performed in Oklahoma, Carousel, Annie Get, Your Gun at McCarter Theatre	in	Princeton, NJ. Rosemary Boross used her extensive experience in the dance world to publish several books, videos, and CDs. Her CDs for children's ballet, tap, and jazz can be found below. More fun exercises and characters for your preschoolers by Rosemary Boross. Centre floor and across the floor work with vocals and instrumentals of each song. A wonderful introduction for children to the world of ballet, designed for ages four through six. Complete barre and center work. All tracks have repeats. Plies, Tendus, Coupe Passe, Grand Battement & more. Complete pre-ballet class for ages 5-8 introducing barre work. Each exercise contains lyrics designed to help children remember their steps and learn the importance of barre work. Ages 4-6. Exciting percussion music for a high-energy jazz class. 4 different styles of jazz. A beginner tap class filled with songs for ages 4-8. The basics shuffles, cramp rolls, toe and heel drops, as well as barre, centre and floor progressions. Vocal instruction and instrumentals of each song. A fun-filled introduction to the world of tap dance for children four through six. Learn the basics of tap including toe taps, heel taps, shuffles, cramp rolls and more.